A B&O FM switcher lays over at the Edgewater Engine House. In the yard stand cars received the night before, including a 250 ton four-truck D&H flat car with a GE stator from Schenectady NY. Some cabooses are lined up and ready for Monday's business on the Baltimore & New York Rwy. 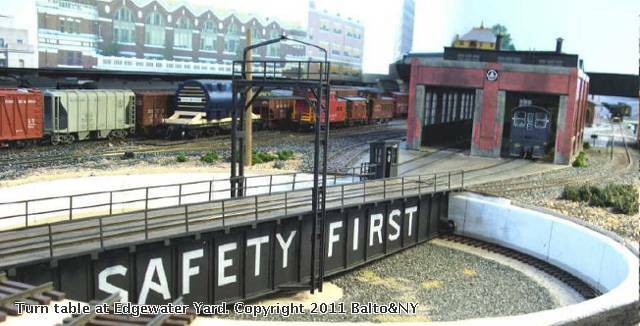 Balto&NY, as a B&O fan I appreciate seeing your excellent photos. Creating vignettes and photographing a layout is one of the most enjoyable parts of the hobby. You and I seem to be the only ones that regularly enter the Monthly Photo Polls. Other modelers do some nice work and I would like to encourage them to take advantage of this feature.